Landscaping always constructed with an eye for detail. 1) Experienced conscientious Staff – “you’re only as good as your staff” never a truer word spoken especially in construction. Quality experience is key; our team works on exclusive properties in some of the most beautiful locations in the North West and have been doing for years. 2) Quality products/materials supplied – ecologically sourced and local to our projects wherever possible to lower our carbon footprint. We use a narrow range of approved materials we know and trust this gives us are unique signature look. 3) Creativity and innovation – to give you the job you always wanted but never knew was possible. Options are essential especially when this will probably be the first time you have been through this process. Guiding and informing our clients as to the right way forward is essential, we do this every day so we know what is and isn’t possible but always respect our clients wishes and work together to achieve the best possible outcome for a project. 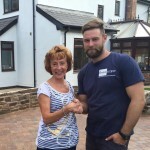 4) NHBC Standards – met on all of our jobs/ all our work is guaranteed giving you the peace of mind it’s going to look beautiful in years to come. 5) We are Registered and established company – fully insured for your peace of mind, we have established a great reputation in your area and are happy to prove that to you. We are growing 40% year on year which is only possible with happy customers and referrals. 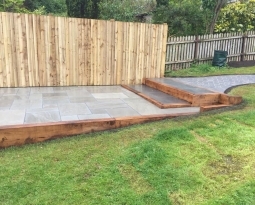 7) Testimonials are available from satisfied clients in your area upon request, giving you the peace of mind to choose Beauscape ltd for your landscaping project. Click on www.beauscape.com or Facebook search Beauscape ltd to see for yourself. 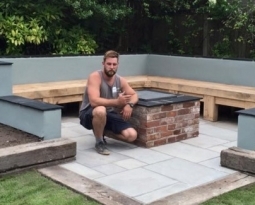 Summers is coming so if you are interested in getting involved with a professional team of specialists that have the ideas and the finish to match then contact Beauscape asap. 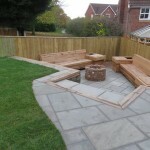 We are very passionate about landscaping and that comes across in all of our bespoke projects whether they are big or small.